Professional football is so lofty and moneyed, so removed from everyday life, that anything goes, doesn’t it? You can say what you like to the guys on the field – they’ll get over it, won’t they? You can show up to a stadium, yell abuse at a guy for ninety minutes, and he’ll go home and hug his big pile of money to console himself. It’s just a bit of fun. Of course, the spectacle of Big Sport, supercharged as it is with oil-money, airline money, bet-shop money, TV-money; its endless narratives of ‚eternal enmity to be settled in cup final between red team vs blue‘, and the focus on ephemeral celebrity does remove it from the lives of everyday people. I’ve written elsewhere about how Big Football not only behaves as though it’s outside society, but actively engages in removing itself from the ordinary realm, banning people from selling merchandise outside arenas during tournaments, for example. But none of this actually removes the sport from society – and we can see the impact most clearly on the people who play it. Danny Rose, a British footballer who plays for Tottenham Hotspur FC in London, has bravely spoken out before about the impact the game has had on his mental health, as well as the overwhelming pressure to keep quiet, play the game, and never complain. Indeed, part of the motivation for not speaking out about mental health issues has been the amount of money footballers receive. The commonplace ‚money compensates for frailty‘ idea. However, footballers are a part of society, and they deserve to be heard – particularly when they are so influential. Racism in football is so widespread precisely because people see the game as divorced from society and the stadium as a place to vent steam. Otherwise friendly, polite, and socialised people will let loose in the stadium, and mysterious impulses will emerge. I’ve attended games all over Europe, and have witnessed racism everywhere. From regular, pie-eating Birmingham City fans standing up to spontaneously call a black footballer the n-word (then politely apologising to me), to seeing a bank of ultras in Italy make monkey noises at a player, and even in Berlin, at Union, an apparently left-wing football club with values of solidarity, I’ve seen fans chant ‚Sieg Heil‘ and do the Nazi salute with impunity. 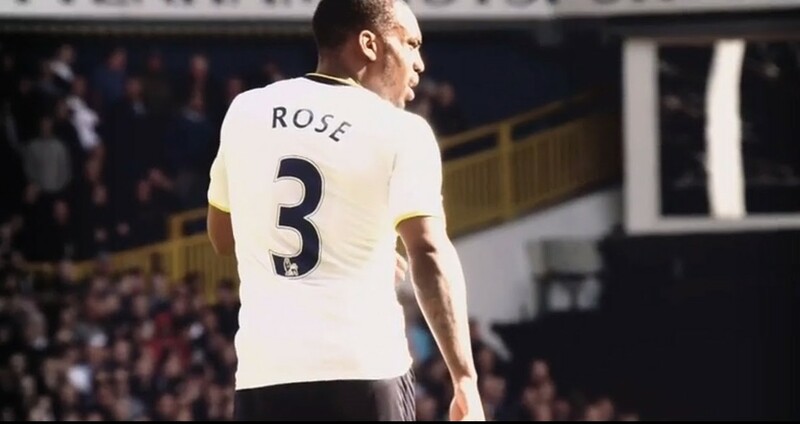 Danny Rose once again bravely articulated what racism does to him, „I’ve had enough,” Rose said. “At the minute, how I programme myself is that I just think: ‘I’ve got five or six more years left in football and I just can’t wait to see the back of it.’ Seeing how things are done in the game at the minute … It’s just – whatever, isn’t it? I just want to get out of it“, he said to The Guardian. Rose was referring both to the weekly racial abuse he receives from crowds (and particularly the crowd in Montenegro where England recently played), and to the lack of action on the part of authorities. This is what racism does – it hurts you, deflates you, and makes you angry. And this is what promised but unfulfilled hope does – it makes you indifferent. No doubt there is a connection between racism and mental health, and I suspect the mental health of black footballers is in worse condition than their white counterparts, who may also receive abuse, but not of a racialised kind. There are so many examples of racism in the game – just last week, when Moise Kean was racially abused by Cagliari fans, his own teammate Leonardo Bonucci saw fit to blame him „50%“ for the abuse. Why? Because Kean responded to the racist chants. This baffling example of victim blaming happened within an advanced industrial society, in 2019. Why talk about this when there are so many more obvious examples of racial violence in the world? Well, it is because football is so powerful, so far-reaching and so influential that it can indeed act as a kind of bellwether for the rest of society. What is allowed in football becomes allowable in wider society – sometimes in a very direct way – racist groups in England, such as the English Defence League, the Football Lads Alliance and Britain First were primarily composed of football fans, and their chants were based on those heard on football terraces. But it goes deeper than this. How authorities react to racist abuse, and how they choose to treat abusers sets an example. If they do nothing, then those who act in racist ways feel they can do so with impunity. And although the pampered, isolated millionaires who play the game are indeed divorced from reality, they of course do not deserve the abuse at all. All football authorities need to do is to act against racism. Otherwise, I fear we’ll see a repeat of the horrific scenes of the past – racist violence against black players and fans, and the self-harm of black players.